Kind of beat, yellowing paper, and front cover is detached. 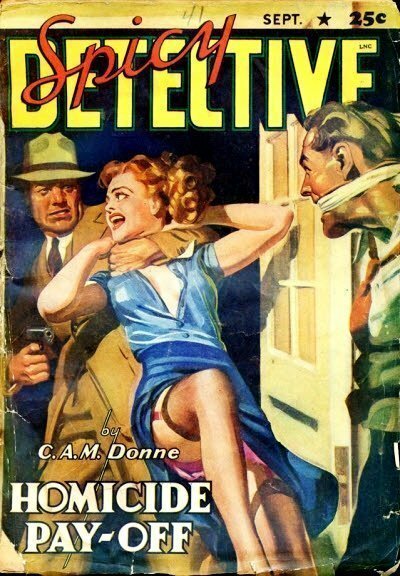 Still this Clayton Pulp sold for close to $30.00. Second and Last Issue, although it says issue 3. 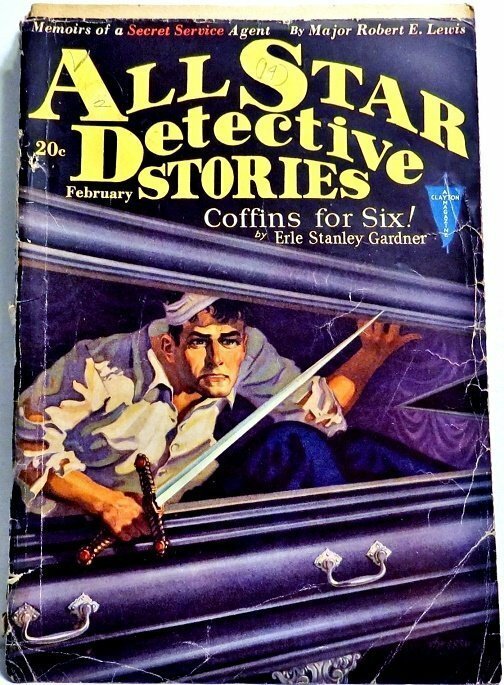 NOT the same series as the above Clayton title, but a Manvis Publications, Inc./Red Star/Tmely-Marvel Comics/Martin Goodman Pulp. “The cover is a Peter Driben homage to – or just ripoff of – H. J. Ward. 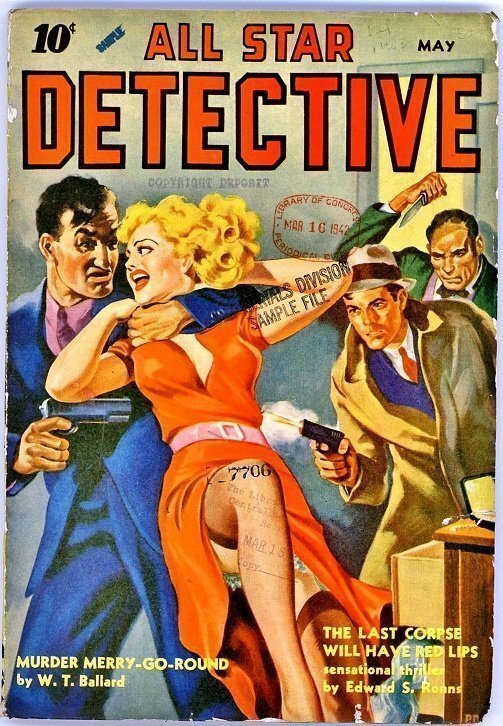 Still, an uncommon pulp and a unique convergence of two legendary pinup artists. Condition: Front cover: Light edge wear and edge tears, LoC ink stamps, creases along the right edge, partially erased pencil markings near top right corner, separation from spine for the top inch-and-a-half or so. Back cover: Similar to the front cover, minus all the LoC stamps. Spine: Slightly faded, moderate wear, light surface soiling.